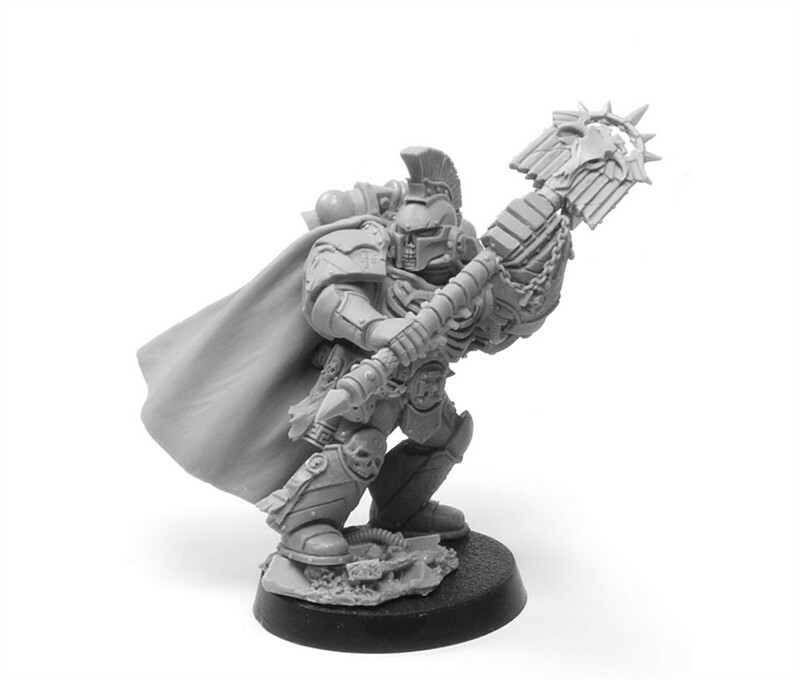 Today Forgeworld showcased their newest releases. The Minotaurs Space Marine special characters. Chapter Master Asterion Moloc, and Chaplain Ivanus Enkomi. These characters are detailed in the Imperial Armour 10 Badab War book, and are very characterful, so I'm very pleased that they are being released by Forgeworld now. I am even more pleased because in January, during discussions with my gaming group, we discussed starting some Badab War armies. After much discussion I landed on the Minotaurs Chapter, and have been slowly gathering resources and putting together a plan. I will be discussing this in more depth in future articles, starting with articles on why I chose the Minotaurs, as well as finding and gathering resources on the cheap, modelling, painting, etc. 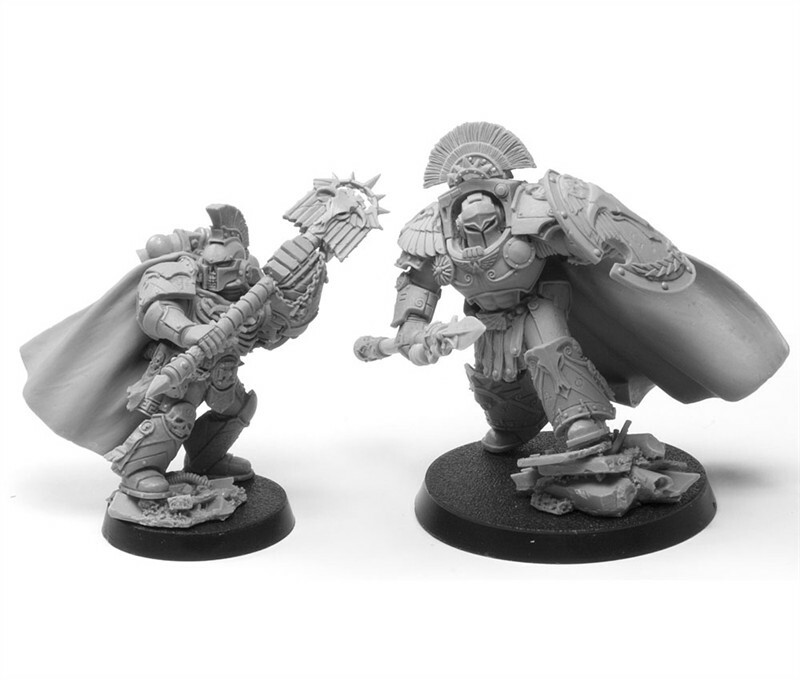 Because of this, you can be certain that these two Special Characters will be added to my Minotaurs army. 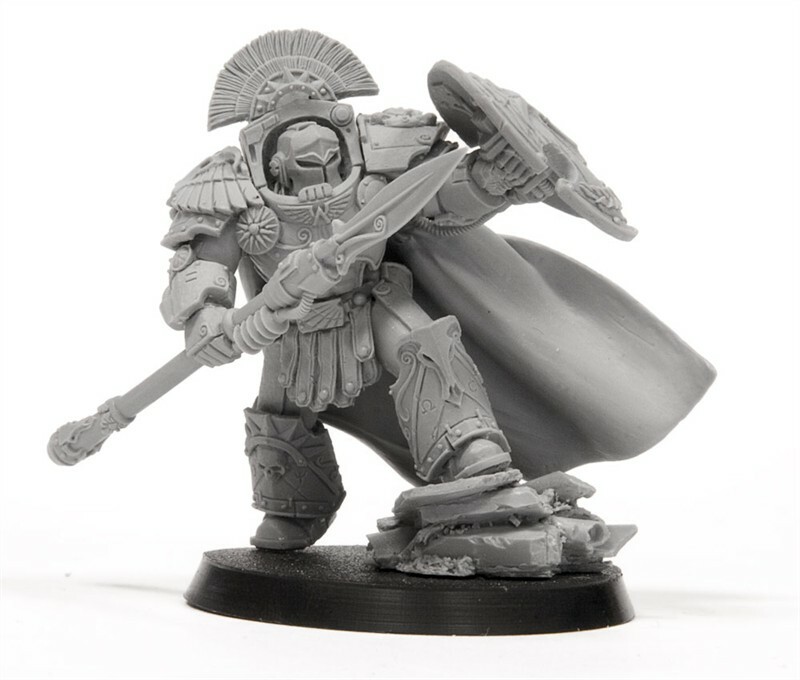 *Legal* Minotaurs character image owned by Forgeworld and used without permission for the distribution of hobby news. No challenge is intended. Is your group at a hobby store? Always looking to play some Badab specific games. @Tristan Not specifically. We tend to play at one friend's house for ease of gathering, and to make it easier on him due to specific responsibilities. We have been known to frequent Heroes World in Markham for larger games, or other arranged games. It might be a while before our Badab armies are finished, as we are only just getting started.